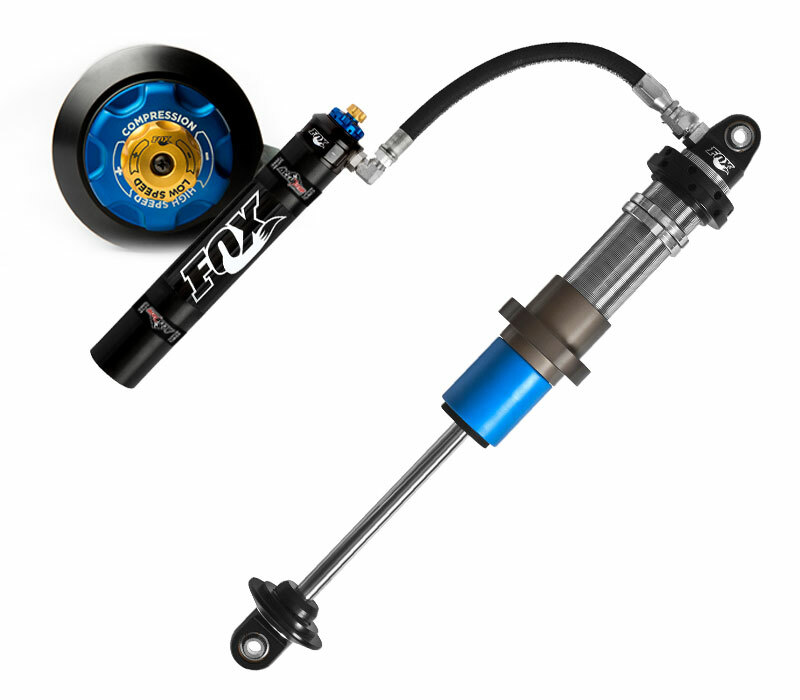 Fox 3.0 Internal Bypass (IBP) Coilovers with Dual Speed Compression Adjuster (DSC) and short rod end come pre-tuned from AccuTune Off-Road using AccuTune Equations, and AccuTune Double Flutter Stacks to give you the best performance possible. 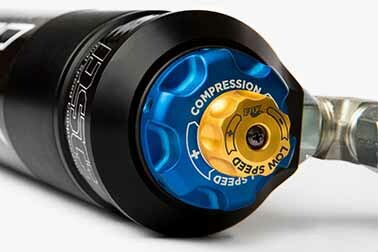 The Fox Dual Speed Compression Adjuster (DSC) makes tuning these shocks much easier. You no longer have to rely on the bypass for adjustments to low speed and high speed compression. 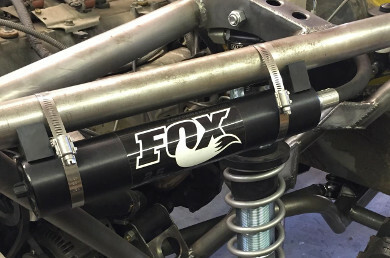 Fox 3.0 IBP Coilovers offer bypass performance in a coilover package. 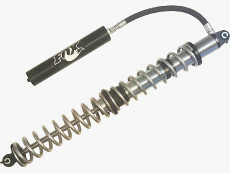 Fox Internal Bypass Coilovers use a unique design that allows for a high flow piston and tube with reed valves to provide position sensitive damping – just like a 3-tube bypass shock. Whether your limited by class rules or space constraints, Fox 3.0 IBP Coilovers deliver the performance you need. Step-up to Pre-Tuned Fox 3.0 Internal Bypass Coilovers from AccuTune Off-Road and feel the difference. Adding DSC Adjusters to Fox Internal Bypass shocks allow for new levels of fine tuning and adjustment. Tuning a single bypass shock requires a careful balance between low speed valving (bypass bleed) and high speed valving (piston valving). This is especially complicated with IBP shocks due to their construction. By adding the DSC adjuster the internal valving can focus on high speed and the DSC Adjuster can focus on low speed valving. This relatively low cost addition will save you tons of time tuning and ultimately take your performance to the next level. Call to learn how AccuTune Off-Road can help setup your Fox 3.0 Internal Bypass DSC Coilovers for success right out of the gate.